Opcare works in partnership with NHS partners, Consultants, Physiotherapists, Occupational Therapists, Rehabilitation Engineers and NHS Managers in centres across the UK. We serve more than 100,000 users of prosthetics and orthotics as well as providing posture and mobility services on behalf of the NHS. You deserve the best and we have the team to deliver it. Please select the service you are after using the quick links below or the Map. You can also scroll down where we have a complete list of our clinic location or use our Clinic Search feature on the homepage where you can enter your post code. Clinic Overview: Opcare has worked in partnership with the NHS in North Bristol since 1997 to provide prosthetic and orthotic services. We are based in the Disablement Services Centre in Southmead Hospital, which is part of the Avon Orthopaedic Centre. 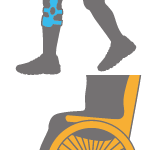 Clinic Overview: Opcare provides Posture & Mobility Services which provides the wheelchair provision across the Calderdale and Kirklees region. We are located in Elland. Clinic Overview: Opcare has worked in partnership with the NHS in Cambridge since 2001 to provide prosthetic and orthotic services. We are based in the Addenbrookes Rehabilitation Clinic. Clinic Overview: Opcare covers Orthotic services for UHCW hospital and Rugby St Cross hospital. We also provide clinics at schools in the Coventry and Rugby area. We accept GP referrals and internal referrals from Trust departments. Clinic Overview: Opcare provides Prosthetics Services to Royal Devon & Exeter NHS Trust. We are based in the Exeter Mobility Centre. 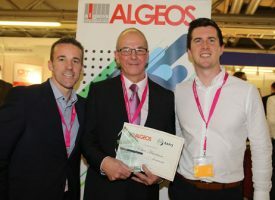 Clinic Overview: Opcare provides Orthotic Services to the James Paget University Hospitals NHS Foundation Trust in Great Yarmouth. 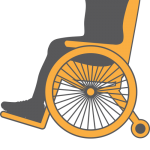 Clinic Overview: Opcare provides Posture & Mobility Services including the provision of wheelchairs, specialist wheelchair seating and pressure relieving cushions, along with associated services such as the repair and maintenance of wheelchairs. Clinic Overview: Opcare provides Orthotic, Prosthetic and Posture & Mobility Services to the Nobles Hospital Isle of Man. We are based in the Central Community Health Centre. 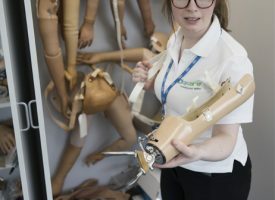 Clinic Overview: Opcare provides Prosthetics and Orthotic Services to University Hospitals South Manchester NHS Trust. We are based in the Specialised Ability Centre on Altrincham Road in Sharston. Clinic Overview: Opcare provides Orthotic services to Anglia Community Enterprises, and is based in the Colchester Primary Care Centre. Clinic Overview: Opcare provides Prosthetic services to the Julian Hospital and we cover Norfolk, Suffolk and East Anglia. 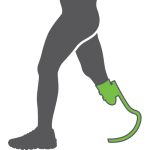 Clinic Overview: Opcare has provided Prosthetic Services to the Oxford University Hospitals NHS Trust, at the Oxford Centre for Enablement for the last 28 years. We are based at the Nuffield Orthopaedic Centre in Headington. 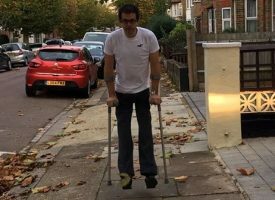 Clinic Overview: Opcare provides Prosthetic and Orthotic services to St Georges Hospital NHS Trust, at the Douglas Bader Rehabilitation Centre. We are based on the lower ground floor to the rear of the building. Clinic Overview: Opcare provides Orthotic Services to Epsom and St Helier University Hospitals NHS Trust. We are based in the Surgical Appliance Department. Clinic Overview: Opcare provides Posture & Mobility Services for clients in North and South Staffordshire. We are located in Stoke on Trent and Norton Canes. 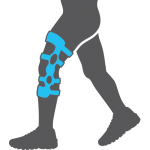 Clinic Overview: Opcare provides Orthotic Services the Wirral and we are based in St Georges Medical Centre in Wallasey.